Thank You for caring and making a real difference. Twelve Months ago on Monday 3rd September 2012 I took the leap and took on the Descent the Shard. Why, to raise serious amounts of money for charity, and to push myself way outside of my comfort zone. You are 21 miles in. Your feet are throbbing and your shoulders burning. Your brain is telling you to stop and rest but you know you must dig deep and carry on. Every Royal Marine has to have reserves of physical and mental strength to complete the Yomp, the 30 mile final test in their gruelling training to gain their green beret. 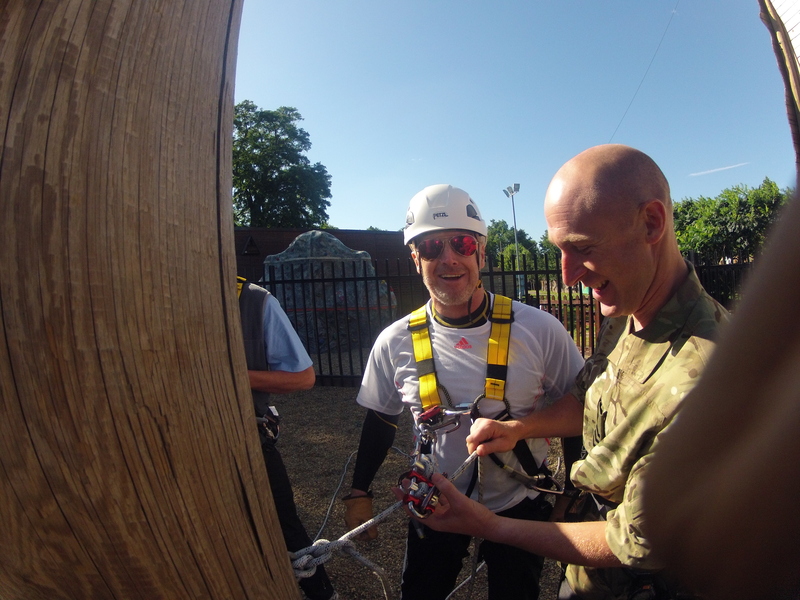 Am I tough enough to Survive The Yomp and raise serious sums for Royal Marines in need? Please sponsor me www.justgiving.com/Rob-Gardner8. Watch my short video of the Descent of the Shard to see the build-up, the descent and the incredible views of London from the top! STEP OUT OF YOUR OFFICE AND TAKE THE LEAP! For those of you interested in the fundraising statistics – I had 365 JustGiving donations and several cheques which resulted in an average of just over £65 per person – A truly remarkable achievement. Thank you again for caring and making a real difference. #RIP – Jeremy Paxton the spirit of adventure! Congratulations Robert and many thanks on behalf of the RMCTF and the Corps family! Reblogged this on Robert Gardner. Previous PostPrevious the N@ked Short Club…just Purest Alpha and Madoff Ponzi Bier in these interesting times. Next PostNext Which city is a mile high and the state pension invests in infrastructure?